Can you help police track down those responsible? 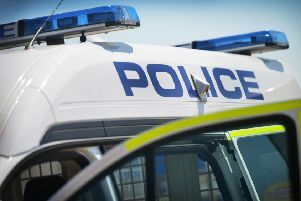 Thieves broke a patio door and stole jewellery from a Worthing home - one of several thefts in the last week that police want your help to solve. Intruders broke into a home in Wallace Avenue and stole jewellery in cash sometime last Thursday, police say. Anyone with any information should contact police on 101 or report it online. Other recent burglaries include a pair of thefts in Durrington on Friday. In one break-in intruders smashed a bedroom window of a home in Vancouver Road. Once inside, cash and a passport were stolen. The incident is thought to have occurred between 4.30pm and 9.30pm, police say. The other theft happened between 6:30am and 6:45pm the same day, at an address in Windermere Crescent. Police say entry was gained to a property through a kitchen door and cash was stolen. The crime happened between 6:30am and 6:45pm. Detectives have not said if they are linking the two incidents. Also reported was a theft in Broadwater Road in Worthing, in which police say a handbag was stolen from an 'insecure porch' on January 13.